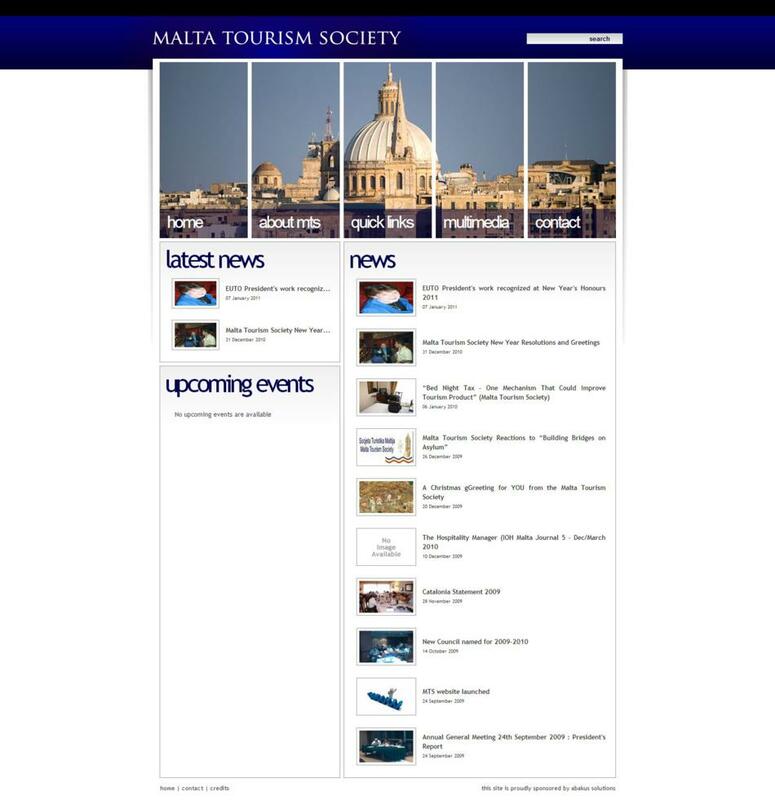 Abakus is the proud sponsor of the new website for the Malta Tourism Society, www.maltatourismsociety.org.mt which was launched Thursday, 24th September 2009, during the NGO's Annual General Meeting held at the Preluna Hotel in Sliema. 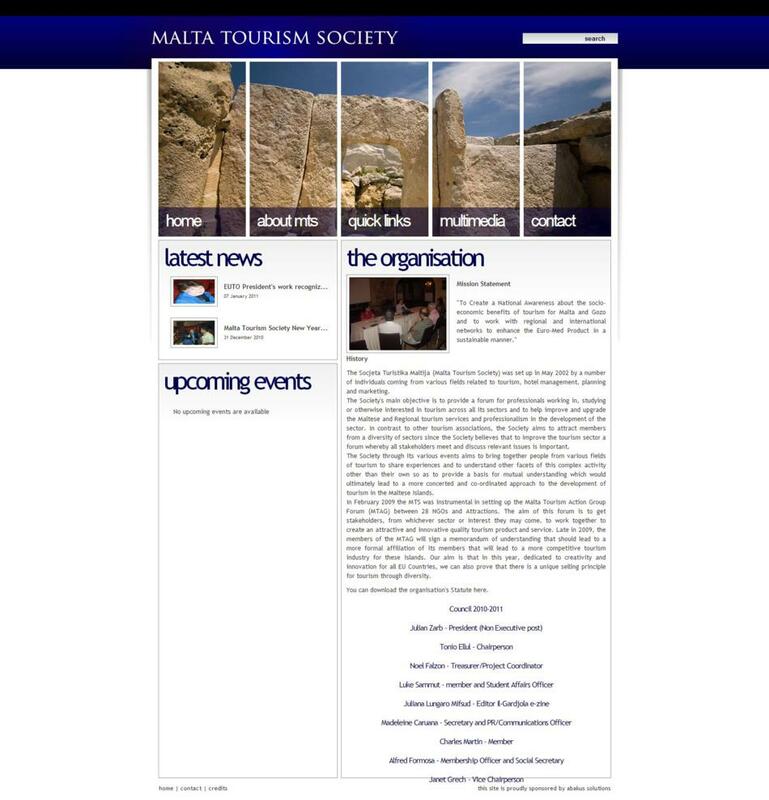 The new website, which replaces the old one which was also sponsored by Abakus Solutions back in 2003, gives a fresh face to the online presence of the organisation that works towards the promotion of sustainable tourism together with different players of the industry including educational, political, social and political institutions. 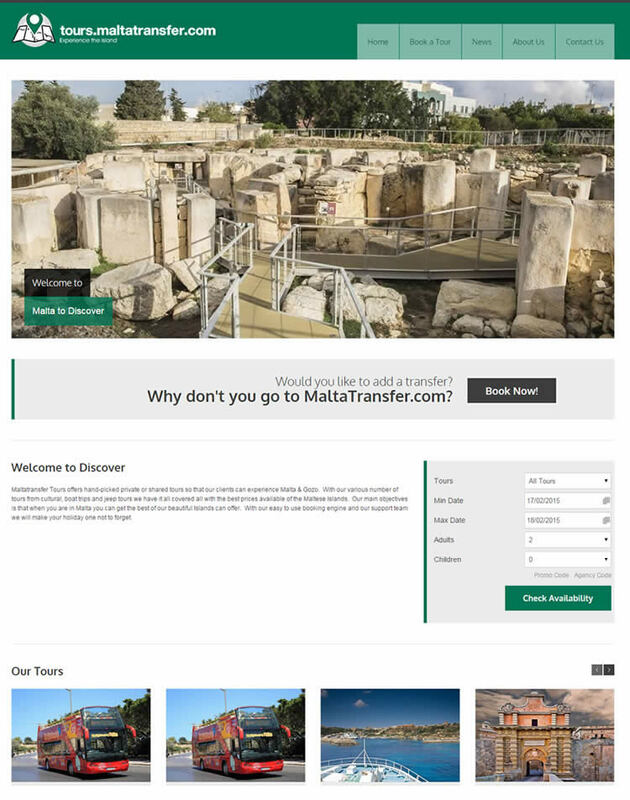 This it does by creating a forum for discussion whereby good ideas for the sustainability of the industry can flourish and by enhancing regional and international networking efforts in the field. 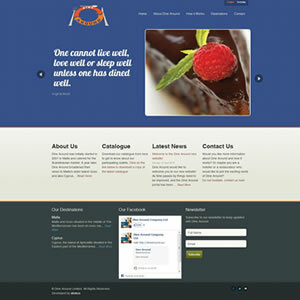 The website contains information about the organisation and how one can become a member. 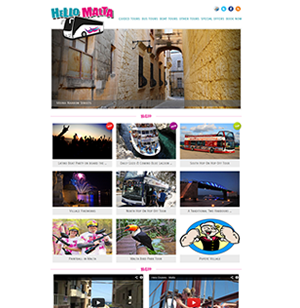 It also includes a news section, an events calendar, a photo gallery, an interactive map, a contact section and information about the organisation's newsletter "Il-Gardjola". 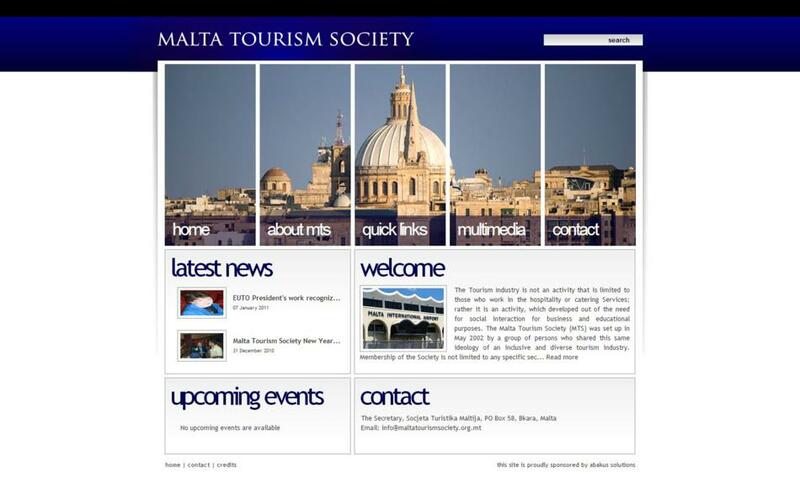 The website has also reaffirmed the strength of the relationship between Abakus Solutions and the Malta Tourism Society.